The plan was a simple peddle along the National Cycle Network Route 4 – The Thames Valley Cycle Way – west. I knew that there was a campsite the other side of Shepperton and trains stations along the way should I need to bail. The distance to the campsite was about 15 miles so not a lengthy or arduous run as there are only a few bumps and lumps on the way where the route leaves the river. The try out was a success and I’m planning the next leg of the route that I’ll do in the next few weeks. The biggest lesson learnt and one of the reasons for a trial run was to get an idea of timing and distance that could be achieved. I set my cadence to that of my usual walking pace and using my old Garmin Geko 201 GPS I was able to gather data on my average speed. This happened to be 7.5 mph, which is three times my average walking speed. This meant that whilst on foot I’d cover 15 miles in a day, by bike that would equate to 45 miles. 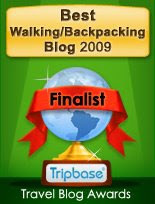 I now have a benchmark to work with when planning future trips. Bikepacking rig - front view. 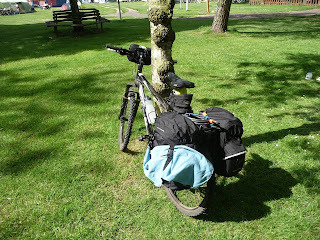 I’ll review the panniers, bar bag and another bit of new kit that I used on the trip in other posts. 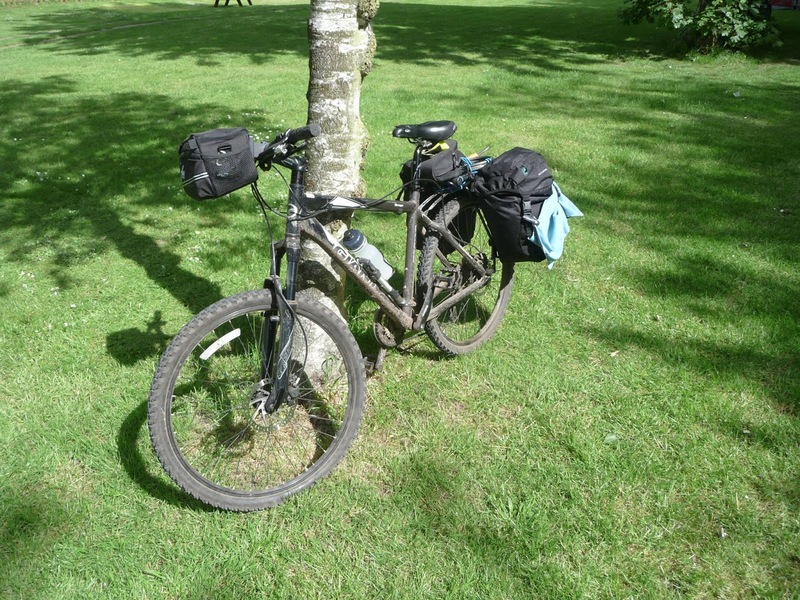 I didn’t get around to pitching my shelter using the bike as planned as you can see from the pictures that there was a convenient Birch tree for that job. I wasn’t entirely happy with the fact that the bike was out of view but it was secure. Bikepacking rig - rear view. I modified my kit list slightly to give me weights of the kit units – shelter, sleeping, cooking, spare clothes, food, and so on – so that I could evenly distribute the weight between the panniers. And as it happened the units balanced themselves out reasonably well but didn't go as far as checking the weight on the bathroom scales! 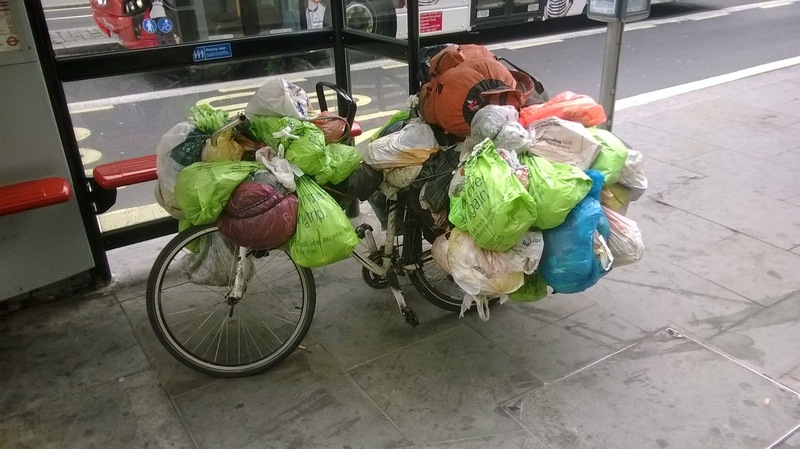 The panniers coped with the volume of kit, as expected, with room for more if required. If I wanted or needed to take more or create space in the bags each bag has a pair of D rings on the top so stuff could be lashed on top. The seat post bag held the tools, spare inner, etc. with the bar bag holding wallet, keys, phone, camera, jelly babies and insulin kit. I can't see me needing anything else to carry kit in other than another bottle cage for carrying a bigger fuel bottle for longer trips. Apart from that it was just the same as any other hike. 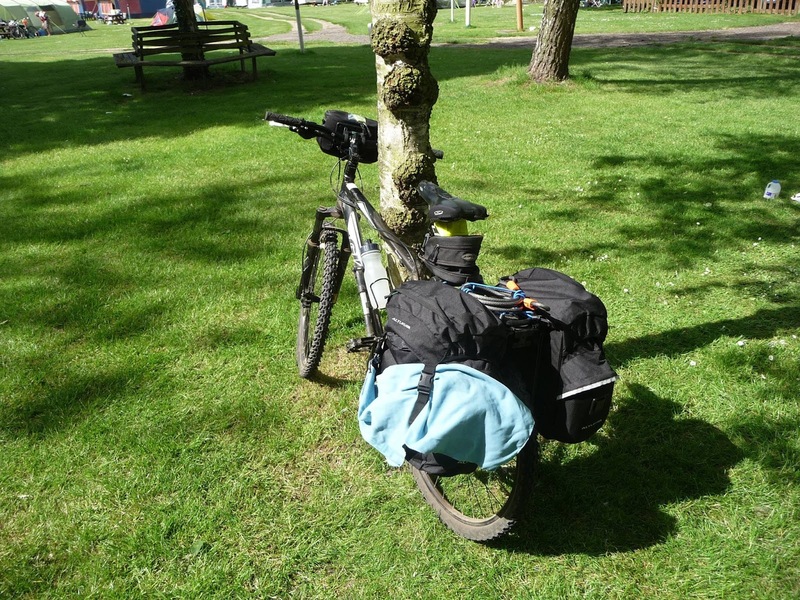 Bikepacking – it's the same as backpacking but my bike carries the bags not my back. And it’s something I've always wanted to have a go at. I’m comfortable with the camping side of the activity – obviously. But I haven’t had any experience of doing so with a bike. There are some aspects of the activity that I’d like to have dry run at before peddling off like mad down one the of the many cycle routes this country or further afield has to offer. The first is mileage. I know that I can comfortably break sections of a Long Distance Foot Path into daily chunks of fifteen or so miles and make my way to the end point. However on a bike I can go further and at a faster rate subject to the weight of the bike and kit that I’m carrying. And how lumpy the terrain I’m crossing is going to be, along with stops and the potential for detours, imposed or self-inflicted. I should also mention that I haven’t spent a lot of time in the saddle either these past few years. With this in mind I’m working on the assumption that fifteen miles will take three hours – for now, as my assumptions are usually conservative. The second is security. I can’t say I've ever noticed Sheffield Staples at any of the campsites I've visited but then that said I wasn't really looking for them! 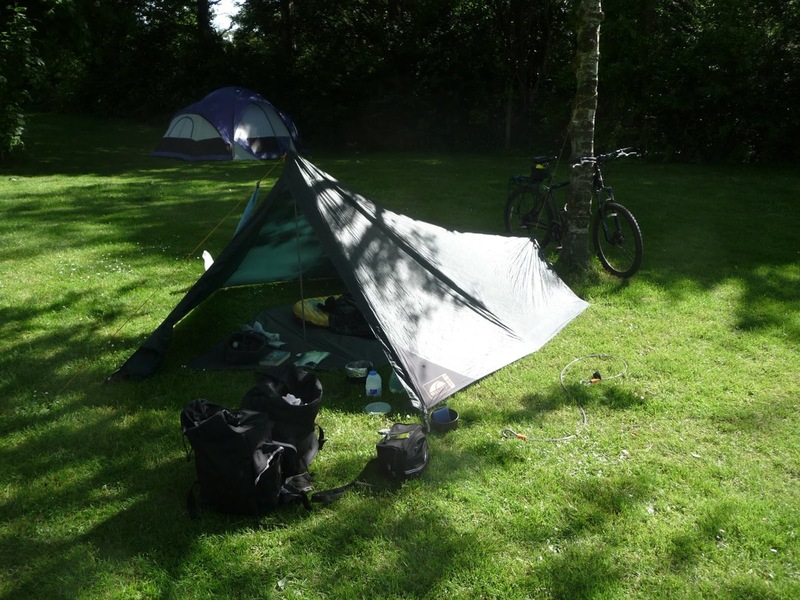 Some friends I know use folding bikes that take shelter in the porch of their tents presumably with a lock on, which keeps them out of sight of potential pilfering. And there's the added bonus of the ease of taking folding bikes on trains. Arriving at the campsite my concern will no longer about finding the best pitch but also somewhere to secure the bike within view of the same. I have worked out a route and draw up my kit list. And will hope to be heading out in the next few days.